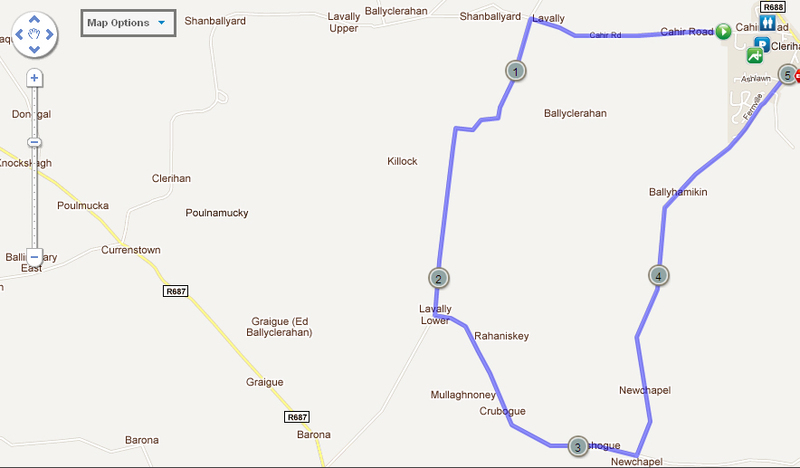 The route heads out of Clerihan on the Cahir Road. At the Lavally / New Chapel cross roads turn left and continue for 2.2 miles. At the Lavally lower T Junction, turn left and continue uphill for 1.1 miles to the New Chapel T Junction. Turn left and head back into Clerihan for the last 1.7 miles finishing just after Ash Lawn. Please remember to wear a high visibility vest and face traffic when running.